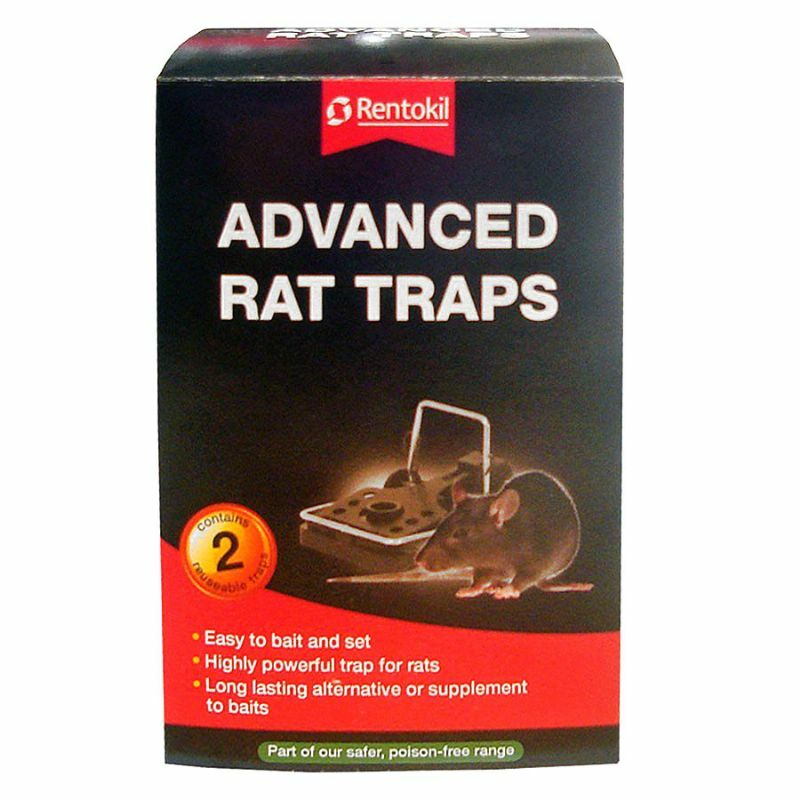 Advanced Rat Traps are easy to use and very effective. They are a long lasting alternative to baits, easy to set and very effective. Easy to release mouse after capture. Customer Note: Place trap on a flat surface in a problem area, preferably next to a wall, where rats have been seen running. Always use gloves to dispose of rat and all waste should be double bagged using bin liners, or similar, before disposal in a bin with a secure lid.